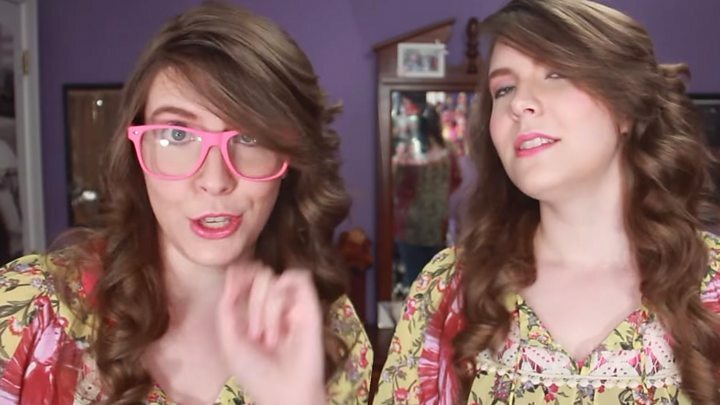 One of YouTube's most influential vloggers has chastised the service's leaders, claiming they are failing many of their most popular video creators. 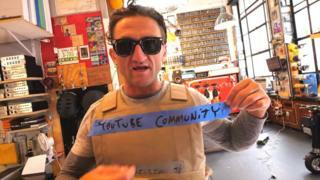 Specifically, Casey Neistat criticised the way the platform had made it impossible for some videos to generate advertising revenue, without clearly explaining the rules to its community. One of his own videos - an interview with Indonesia's president - was temporarily "demonetised" last week. YouTube has said it is listening. "We watched Casey's video and appreciate him and the wider community voicing their concerns," a spokeswoman told the BBC. "We know this has been a difficult few months, and we're working hard to improve our systems. We're making progress, but we know there is a lot more to do." Mr Neistat has more than eight million subscribers on YouTube, who have signed up to be alerted when he posts. He has also struck a multi-million-dollar deal to create content for CNN on the platform. He is normally viewed as being one of the leading champions of the site. But in a video posted on Tuesday, he said he felt compelled to speak out because the level of upset among creators posed an "existential threat to YouTube's entire business". The Google division began stripping some videos of adverts earlier in the year after several major brands suspended YouTube campaigns because their marketing clips had been attached to extremist content. To address the problem, YouTube introduced an algorithm that determines which clips are "family friendly" and thus allowed to continue making money for their creators. But Mr Neistat said the decision-making process had been badly communicated. "There are no answers anywhere, and there's no-one telling you what's going on," he said. "The thing that was most troubling for me... was the lack of communication, the lack of transparency on the part of YouTube." "People are... putting the same amount of work, the same amount of energy and the same amount of expense into the content they're creating, but now they're getting paid only a fraction of what they did." A recent decision to demonetise creators' videos about the Las Vegas shootings had caused particular ire, Mr Neistat said, since a video featuring the chat-show host Jimmy Kimmel discussing the same incident had been allowed to continue featuring ads. "It sort of reeks of hypocrisy, and again the community felt like a second-class citizen," he said. Mr Neistat suggested a better alternative would be to give creators more control over whose adverts appeared alongside their clips. The video-maker is far from being the first YouTuber to complain about the issue. But one industry-watcher said his intervention carried weight. "People look to Casey to be not just an inspiration but also a voice for the community - he's very well respected and people do listen to what he says and follow his lead," said Alex Brinnand, editor of TenEighty magazine. "The fact that he has put out this video... will help ensure his audience is aware of the issue and becomes as equally unhappy as he is." Mr Neistat highlighted that Twitter's rival video-based social network, Vine, had collapsed after its managers had disappointed several of its leading clip creators and suggested YouTube could face a similar exodus. "When you think about Netflix or Amazon or Hulu or any of these other digital distribution platforms right now, they've all got money, they're all willing to spend money, and they're trying to figure out how to diversify their audience," he said. He added that Amazon's Twitch service - which currently focuses on video-games-related live feeds - had already tempted some. Twitch began allowing users to upload pre-recorded videos a year ago and may unveil new features at its annual TwitchCon event, which begins on Friday. However, Mr Brinnand questioned whether the service had done enough to lure away YouTube's biggest names yet. "For creators like Casey, I don't think at the moment that Twitch is a viable option," he said. "It's a lot more geared to live or as-live content, so doesn't cater to the same audience the vloggers have with their more packaged, produced videos. "But Twitch has laid the foundations for the future - it already offers very appealing revenue streams - and could be a contender if it develops a stronger platform for standard video."